Happily Ever After Thoughts: Guest Author, Karen Duvall- Romance or Romantic Elements: Is there a Difference? 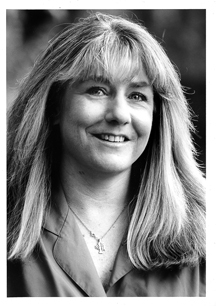 Guest Author, Karen Duvall- Romance or Romantic Elements: Is there a Difference? How is a story with romantic elements different from a romance? A romance is focused on the love relationship between two people, with the plotting and story arc depending entirely on that relationship. 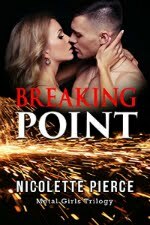 It's the romantic conflict that prevents the hero and heroine from achieving their happily-every-after until the end of the book. A story with romantic elements is about the hero or heroine's journey complicated by external forces that dictate the outcome. The love interest is secondary, but still important to the story. Urban Fantasy typically falls in the camp of the novel with strong romantic elements. The main character's journey steals the show, but he or she will more than likely hook up with someone romantically along the way. Love relationships add heat and tension to just about any story and are a natural parallel for an action-filled plot. The romantic subplot also adds dimension to a character's arc. The character grows from their relationship and learns important lessons that impact their behavior. This may affect the story's outcome, and that's important. Harlequin, my publisher, is best known for publishing romances, however the company also publishes women's fiction with strong romantic elements. The Harlequin Luna guidelines say: "LUNA Books delivers a compelling, female-focused fantasy with vivid characters, rich worlds, strong, sympathetic women and romantic subplots." 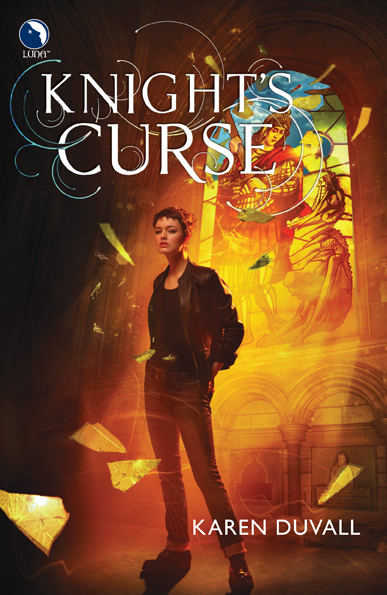 KNIGHT'S CURSE is about a young woman named Chalice, who's half-angel born with superhuman senses. She's bonded by a gargoyle's curse to ensure her loyalty to a group of greedy sorcerers that exploit her supernatural skills for stealing priceless magical artifacts. The story focuses on Chalice's dangerous quest for freedom, but her love interest, Aydin, plays a vital role in her growth and discovery. 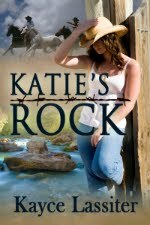 Their developing relationship carries over to the second book, DARKEST KNIGHT, which will be out in the spring of 2012. Publisher's Weekly lists KNIGHT'S CURSE as one of its top ten romance picks for fall 2011. If you'd like a chance to win a signed copy, just leave me a comment and be sure to include your email address so I can contact you for your mailing address if you win. I regret that due to high postage costs I must restrict the winner's location to the continental United States. Thanks for stopping by and I hope you'll drop by my blog (http://www.karenduvall.blogspot.com) and website (http://www.wix.com/jkduvall/knights-curse), and follow me on twitter (@KarenDuvall). I can always use more friends on facebook, too (http://www.facebook.com/karen.duvall2). My mood more numb than sad, I let the photo fall to my lap. "You can't save me, Aydin." "I realize you're living your destiny, but that doesn't mean I can't help you through it," he said, his voice deep with meaning. "I think your mother would have wanted that, don't you?" I passed my fingers over the face in the photograph, trying to sense her through the plastic, through the years that separated us. The photo was a cold and inanimate thing. It couldn't feel my longing or my loss. "I'm here for you," Aydin said. "I'm no substitute for your mother, but I understand what you're feeling. I lost my own family many lifetimes ago." Yet he'd taken a big risk to give me a gift of family that I could treasure always. No one had ever done anything so selfless for me. Not even the monks. Aydin jiggled the bed to get my attention. When I looked up, I found him smiling with mischief in his eyes. "Want to see some magic?" I shook my head, but inside a ghost of smile touched my heart. "It will cheer you up. I promise." "You said you're not a sorcerer." "I'm not, but I've learned a few tricks over the centuries. I'll show you." He stood, strode to the door, and left. "Nice vanishing act," I said to my mother's image. "But we've already seen that trick. At least this time he's not naked." He returned minutes later, his hands cupped around something he seemed careful not to drop. He joined me on the bed and held out his open palm. A furry black caterpillar wiggled slowly over the sigil scarred into his skin. "Cute." I petted the tiny creature. "But not very magical." Aydin linked the fingers of both hands together and blew through an opening between his thumbs. Pale blue light glowed through cracks in the finger-cocoon he'd made for the bug. After one breath, he stopped. I leaned back to create more distance between us. "What did you just do?" "Magic." He pulled away his fingers and in place of the caterpillar sat a golden winged moth. "It's a Tiger Moth. Very common." "But not at this time of year." I stared at the insect. "Your breath. It gives life?" He shook his head. "Accelerates it. A bi-product of my immortality that I discovered by accident a few hundred years ago." I blinked, my focus still on the moth. "So if you breathed on a puppy, it would turn it into a dog?" He quirked an eyebrow. "I've never tried it, but I think it would take more than one breath. Puppies and caterpillars aren't exactly in the same league." He stood and stepped to the door to open it, releasing the moth out into the night. "Magic doesn't have to be bad, Chalice." He dipped his chin toward the photo still in my lap. "If you and your mother aren't proof of good magic, I don't know what is." I hugged my one and only family heirloom to my chest. "Thank you." "For this." I patted the picture. "And for the lesson in perspective." I stood from the bed and grabbed a couple of shopping bags off the floor. "Shall we go?" Alexis: For a chance to win a signed copy of KNIGHT'S CURSE, be sure to leave a comment! Your book sounds mysterious and fabulous! And I agree about the romance and a story with romantic elements. I love the cover, too, and the fact that the plot has to do with magical artifacts. Great description of a romance and romantic elements. Knight's Curse has sounded like an interesting book from the first time you talked about it. Congrats! Your description of the types of romances is very clear. Thanks for putting it in words so concisely. I'm printing that out so I have it in my cheat sheet file for when I get confused! Best with the book and congrats on the Pub Weekly's endorsement. Excellent post Karen, I'm a "with romantic elements" writer, and lately almost all the books I read fall into that grouping as well. Your book sounds wonderful! Knight's Curse looks great, Karen! I've struggled with the differentiation between romance and romance elements for more than two years ..... this was PERFECT! I know where I am now. Knight's Curse looks terrific! I hope you will be selling and signing at Colorado Gold next weekend! Hey, Vicki! Thanks! Great to see you. I'm really happy this helped you. I'll see you at the Conference in a few days. I'm so excited! Already been said, but I agree that you gave all of us a super description of urban fantasy. I like the idea that the main characters are taken into the Darkest Night as main characters again. Is this common in romantic elements novels? When romance is the main topic, the leading characters seem to change with any sequel/series. Hi, Dawn. With series fiction, like urban fantasy with romantic elements, the characters do return. Probably not all of them, but the main character and her love interest take it to the next level because they didn't get to the "happily ever after" part of their relationship. It's possible they'll face more obstacles keeping them apart, as is the case with KNIGHT'S CURSE. A part of Chalice's journey is falling in love, and that particular journey doesn't end in the first book. It's only the beginning. Yes, you're right that with a romance series, the "happily ever after" ends the story for the lead characters. They might make an appearance in a connected book as a happy couple, but their romance story has concluded, so that's it for them. The next book in a romance series will introduce a new romance with new lead characters to root for. Great excerpt, really fascinating. This sounds like a wonderful book. Congratulations! The explination of "romantic elements" was interesting. I'd never thought about what that meant. Thanks for sharing! Thanks for enlightening me! when I love the main characters so much, I want them to be the main characters in the next novel, too. They'll just have to wait a few books for their HEA. And the reads will be exciting until they get there! If anyone is interested, today i'm blogging about writing extreme emotions, I'd love for you to stop by. Hugs!